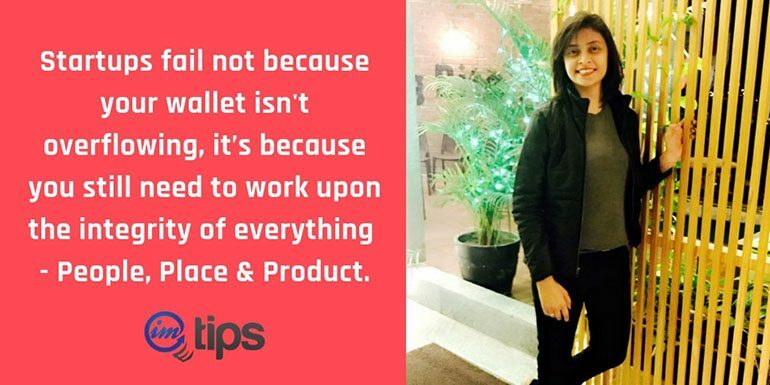 Startups fail not because your wallet isn’t overflowing, it’s because you still need to work upon the integrity of everything – People, Place & Product. Saloni is a content editor for TastedRecipes.com and she wanted to share her case study why her previous startup failed. You can follow her on Facebook here. There are many reasons for a startup to fail. Often we assume better-funded startups could have managed to pull it off but that is never the case. If you can make it work and keep moving ahead, you will always be able to find funds for your idea. Failure is part and parcel of life as an entrepreneur. For me, it has been the best learning experience ever. I have shared some of the lessons I learned from my failed attempts. So without much of an ado, let me hand it over to Saloni. This is an era of startups. We see every day there is someone starting up something new. Be it barber shop, a café or digital marketing agency. You have so many things to sell in the world. You are endless in thoughts when sitting with friends discussing your goals with pride, “This year I am going to bang on with this” & so on. Some of us will start with the idea also. Great! You achieved at least 5% of the work that you want to MAKE IT HAPPEN. You will go great in the first 1 month. Meeting lots of people, showing them the vision about your product, introducing yourself in community business and what not. People will call you at their offices and ask you about your product. You will enthusiastically promote your business in the best way possible. When you will at first meetings, you will be just starting telling the benefits of your product or services, you will also get an exclusively designed business card to show people that you are the player too of this field. Basically, you will do hard impressing people. You must be thinking right now this is the way to pitch the market. That’s how you advertise yourself at every meeting! Let me stop you here for some moments. Starting up something is a good idea, starting up with a small team is also nice, but starting up with blurry vision and bluffing future is not good. The second most important part here is you should be at a stage of knowledge (or at least have the time for gaining it) where you can run your startup in a manageable manner. Third, you will meet different nature of people every day, you will get in many shoes of people but you need to choose which shoe will fit me the best. That means selecting your clients with whom you feel the integrity related to work. Fourth, which niche I can concentrate and can give quality work to my clients. Because the client is my king and I am a servant. Fifth, with what kind of team I am having & how to lead and contribute daily work has to be decided. The problem starts with the fifth point first. During the starting process, your interaction with your teammates is very crucial. Your team has to have that energy to make everything smooth in between. A huge understanding is required over here. Team unity is your best resource than any other resource. And I believe that scares resource also. Somewhere down the line, very fewer clients are getting the most powerful team. Here team unity can be a great scares resource which you can win on. Never push your team too hard where it becomes breathless for them. Too much pressure can kill your quality. Giving time for them to understand the work, understand the client’s need is necessary because everybody will have a different opinion. Whatever you do in life, a particular level of knowledge is required to get the job done. But our work is not getting the job done, it starts after we are done the job and focusing on getting results. If you have any doubt inside you related to work like I need more knowledge or resources to do this, have patience and relax. It’s okay to be slow. It helps you to make you hungrier. Your client doesn’t choose you but you choose them. Yes, it’s true. It has happened to me. When you go, meet someone, understand their business – you get a good sign inside you and your thumbs up to yourself in thoughts with confidence that you can do this. When you feel confident about something you want to do, you will end up doing beyond your expectation. Therefore choose your client wisely and see if their mind matches your work style or not. If it doesn’t match, then you will never be able to make your client happy. For example, if you start a web development business, your team is of 4 members. So first make a list of the team members plus points or say with which management area they are good. Suppose person A is good in marketing than assign him to work related to sales and marketing only. If person B is good at finance and budget scrutinizing than assign him those duties only. Your team member management is very important because it does not create a chaos with the team duties and each team member knows his/her goals to do work. It is very important to believe in what you do. Not only you need to believe in what you are doing but also each member of your team should believe the same. KFC Failed so many times and so did Bill Gates but they had the belief that they can change the world. If startups don’t believe what they are doing, it will be tough for others to believe. In fact, no one will believe what you are doing initially. You have to keep believing in yourself to make others to believe and rise above the odds. If you aren’t ready to take that road of reality and want things to be as per plan, you shouldn’t be doing what you are doing. Around 17% of the business models fail (Read it somewhere) because there is no focused articulation of business plan at very first. Creating a business model is a crucial point to not to fail in your startups. When you make a business model or plan, it is at least of 30 to 40 pages in which you are mentioning the services or products you are going to provide, what is the base of the products that distinguish you from other marketers who are doing the same thing. What’s your USP that you want clients to remember you for? What is the feasibility of your business plan in long run? If you do not understand your startup existence, you can’t run it around. And when you decide it, sticking to it is again important and do it again and again in the right direction. This is very important for a services-based startup. I will say it is one of the reasons we had team issues. Suppose your startup is service based. It’s very important for at least one of the team members to acquire the core skills of providing those services without relying on the outsourcing model all the time. So if you provide marketing services, you can’t outsource the core of marketing and still become the best marketing agency company. In fact, other important and yet dependent services like web design or brochure design services are better off to be done in-house than relying on the outsourcing partner. 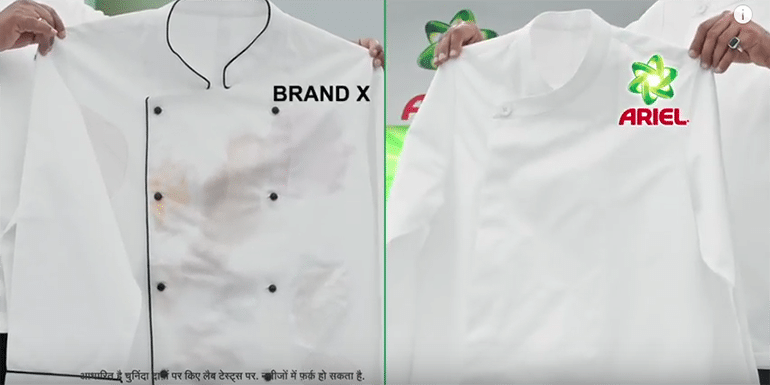 Because when you outsource services from X person & sell it to Y, you lose the pricing power, service delivery power & sometimes quality maintaining power too. 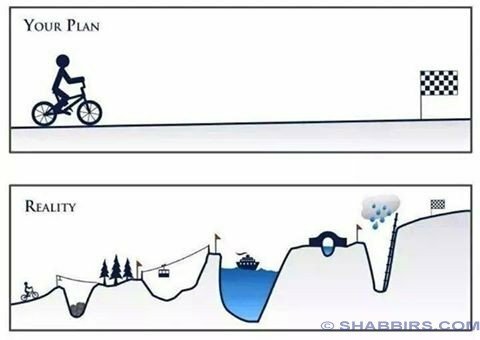 This resembles so much to my startup failure. When we started our idea, our main goal was not to give value to customers but to earn money. I can say earning money was ours why. In reality, it does not work like that. Actually, it works quite opposite. Many businesses have the same thinking as we are doing business because we want to make a huge profit that our fingers would hurt calculating notes. This will always fail your startup. If it’s still running, it won’t go beyond saturation and there are people in the market compete with you & you will have a downfall. Our startup had no aim. No question asked on why we are starting up a food blogger review entity. Are we starting up because we love food? Are we starting because we want to do explore the restaurant or local food to help local people meeting with the best taste? Are we starting because we want to create a community of people sharing their food stories with us or a restaurant story talking about their food passion? Why? Why? Why? Are we starting? And we never asked this questions. We just saw a food blogger doing great on Instagram, visiting great restaurants to review the food and making excellent money and fame. We wanted to do the same. We wanted to become a famous girl gang having a great insight into the food & just become famous for flaunting our video skills & communication skills. Having the love for the food, going through the best bloggers & what they are doing the best in the food industry, connecting our passion for the food & then coming out with the best strategy would be great. I remember when we went to the logo designer, we told him our idea that we have kept this name & we want to do this-this-this. He then told me to prepare a document and explain in it about your idea. When I was making that document, not for a single time I asked me why I am doing this business. What drives us? Inspire us? Well, what you start, you should know why you are starting, once you believe in why you are starting, people will believe in you because they believe in it. The Passion for What You Do? Deciding your niche is again a task in itself. Most of the people start their initial business with one idea and then completely change their niche which is baseless at one point. Starting anything is like bringing up your small child who needs nurturing. Before anything you start, be aware of what will I do, why I will do, what is the market scenario & what resources I can manage right now at this point. It’s not the business or the business model that works, it is the team that works and becomes successful. If you try to copy someone who is doing good, read the case study of ours. One day I and my friends were sitting in my hall and discussing one of my friend’s ex-boss who is doing great with her business. Here business was about reviewing the restaurants and make an advertisement for them as a food blogger. She had a huge Instagram following and she was invited to some amazing Mumbai café for food reviewing visits. We decided to do the same format as we always wanted to earn something extra apart from our salaries. So we decided to make a food blogging website and with that social media handling whoever restaurants want to get it done by us. We then decided that we want to go in a professional manner. So the first thing we did was logo designing our brand & then we started making client list for the meeting. The meeting was simple. We would go to restaurants, meet the manager and tell them to post a free review for them by us on our social media platform. In the beginning, we started getting restaurants and first 2 projects we did it for free of cost. The story started taking a shape when we got our first paid project. We were excited and proud of ourselves. Then our hunger started for more. We wanted all the clients to turn their table on our side. We were meeting people regularly, we made our best business card, we told them all the benefits of how best we are for them etc etc. In first one month, we got about 5 projects which were paying us handsome money. Hurdles started with our teamwork. One of my team members started making differences between the three of us. She felt that she is getting all the sales and because of her everything is here. The other team member and I were having a job & in part-time we were doing reviews. She started feeling she was doing more. Then the separation of the work started in an inappropriate manner, the pressure started on the member who was not good at something. Basically, all the things were overflowing. In the end, the startup started falling. We lost 2 clients for not giving quality work. We started playing the blame game. This time, we lost our team. We separated within four months of our startups. What should have been a solution to this so that three of the members would work properly? More you make things difficult, more it becomes impossible. The first mistake is the motto or the vision of starting up a digital marketing agency was not clear and it was related with money point of view. The second mistake is not producing the best techniques for & gathering buyers in a blind zone. Team job description was not at all discussed by teammates. One would go west or south according to their convenience. We shouldn’t be driven by money but for WHY. Profit was first and quality was later. A sure-shot way to fail. Working hard but not smart. Respect the views of each of the teammates. Keep ego’s away. There isn’t space for it. These mistakes are the reason behind the failure of a team. Your team is your scares resource in the startup. It’s not that startups are meant to be a disaster fail but basically, you are learning what to avoid next.